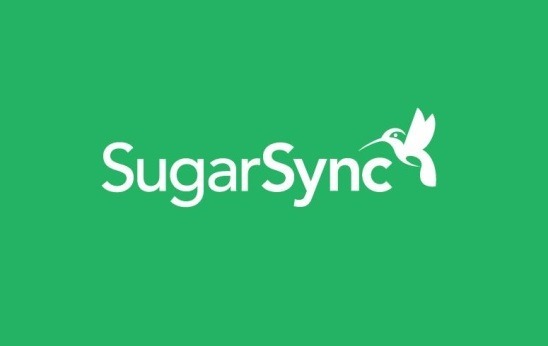 SugarSync is a free SugarSync client App for Windows 8. Using this app you can save, access, share, and sync your photos, documents, and videos from any computer, tablet, or smartphone. You can upload almost any type of file in it’s cloud and download it whenever you want. The app offers up to 5GB of data storage. SugarSync automatically uploads the changes that you made on the downloaded files on the file present in it’s cloud; hence making your work lot more easier and faster because you don’t have to upload the same file again. You can also view the file that other people have shared with you. Plus the app gives you a good set of tools that helps you in file management. The free SugarSync client App for Windows 8 is present under Productivity Category in Windows Store. The app’s interface is pretty clean and simple. In order to use the app for the purpose of uploading and sharing file, you need to have an account on SugarSync. Simply login with your SugarSync account credentials, and you’ll get the main screen of the app. Working on the app is pretty easy and is just like the way you usually work on your PC. There are folders and files in the app as your system has. Navigating between the screens is pretty easy. All the buttons are very basic and self explanatory. You can easily browse your systems files and upload them on the SugarSync cloud. The fact that there’s 5GB of free data storage capability is something good that SugarSync offers. Plus you can upload and share files of almost any size, makes the app a good option for uploading and accessing files. As mentioned before the app runs on multiple types of devices. So you can upload and access files on the go. The app has got different good file management options, which are: create new folder, upload files, rename, download files, and delete files and folders. 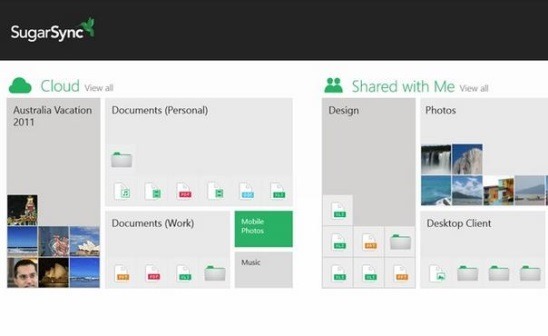 Plus you can also pin the most frequently accessed folders to your start screen for quick access. 5 GB free data storage. Works on multiple types of devices. Good app for uploading, accessing, downloading , and sharing files in SugarSync cloud. Ability to access data shared by other users. Ability to share large files. Different file and folder management options. Automatically save the updates made on downloaded file in the file present in SugarSync Cloud. Live tiles keeps you up to date of the recent changes. Pin most frequently accessed folder to start screen. Snapping on either side of screen is possible. If you use cloud sharing frequently then SugarSync is a good option for you. As it is all for free, and working on it is easy and simple. 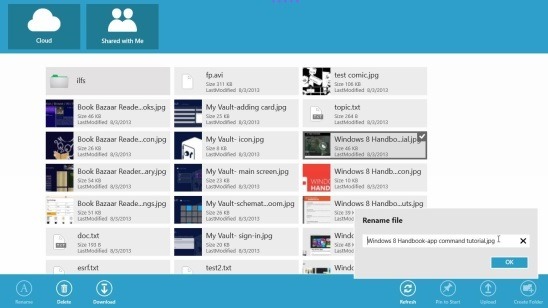 Although, this free SugarSync client App for Windows 8 does lack some essential features like cut-copy options, and also you can’t find out from which computer the file is from; still the other feature makes this app a good option to opt for.